click the charms above for details. 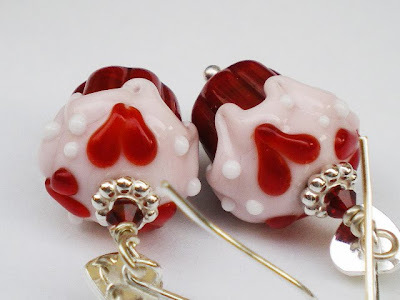 Last night, Lauren Z. was digging through my bead box and found 2 pairs of heart cupcake beads I'd forgotten about...glad she stopped by! My buy one, get one 1/2 off ends tonight at midnight Pacific time, so you could get both of these for a song if you so desire. All the details and photos are HERE. 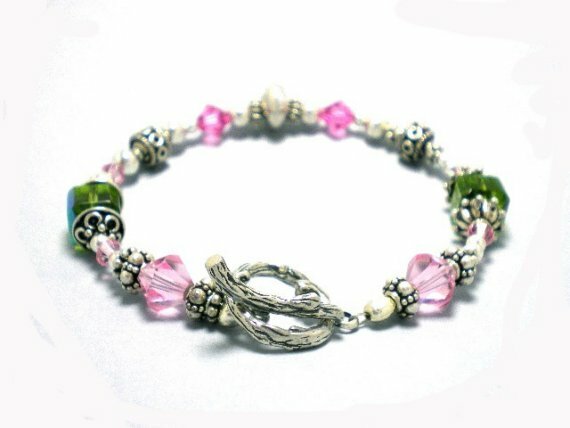 I just posted 2 more "Beginnings" bracelets and will be posting more in Garnet and Amber. 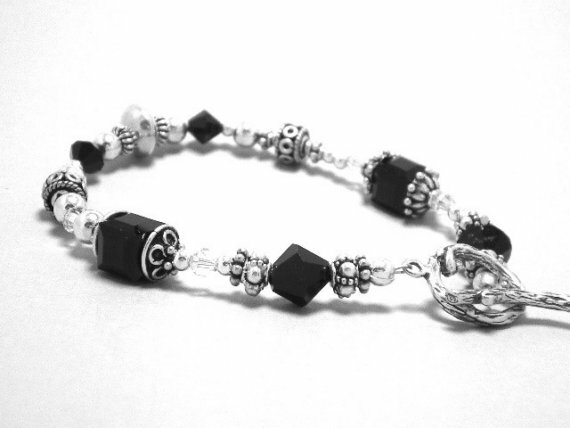 This was the very first piece of jewelry I made to sell, thus the name. 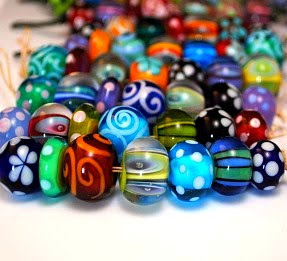 My sis and I attended the wonderful Sonoma glass bead show and she selected her own beads for the bracelet. Then we returned to her house in Napa and played and adjusted and altered and played some more with the beads for quite a while before achieving the appropriate balance of color, size and scale. I just love this style as it looks good in any color and is elegant, yet casual at the same time so it works with fashion from jeans & a tee to your little black dress. You can see more photos and details HERE. 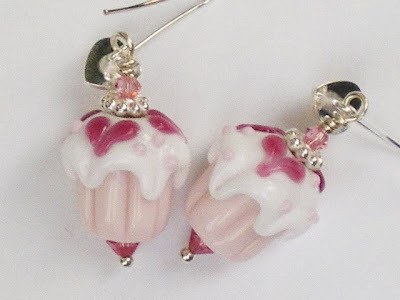 Oh and you have through tomorrow to take advantage of my huge 50% off sale on Cupcake & Heart jewelry! 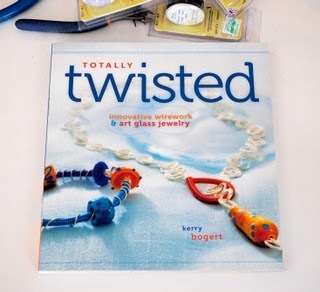 Libby, a fellow fan of Kerry Bogert, bead artist extrordinaire, is having a fabulous contest where you could win some of her beads she's using in bead projects from Kerry's book, Totally Twisted. Click the top photo to get the details.